It’s really a windy winter Sunday and my wife and I needed something to warm up. 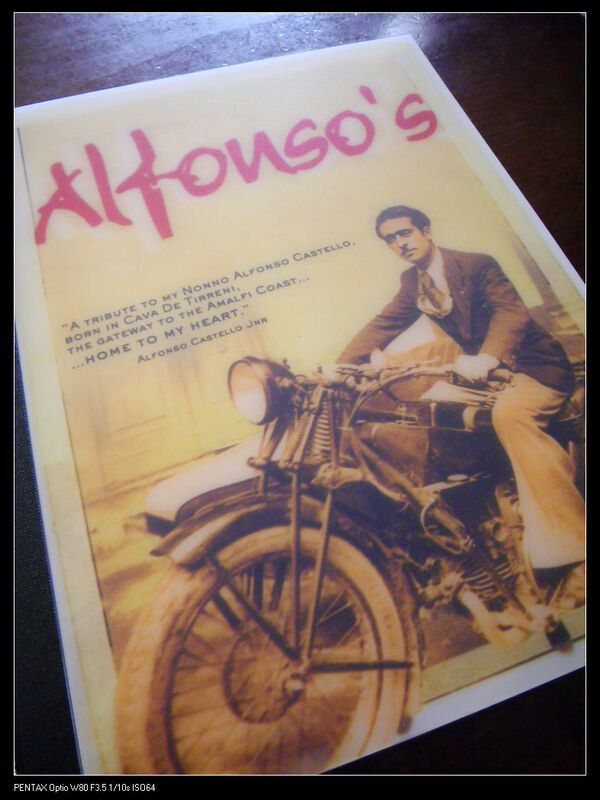 Alfonso’s continental came to our sights. 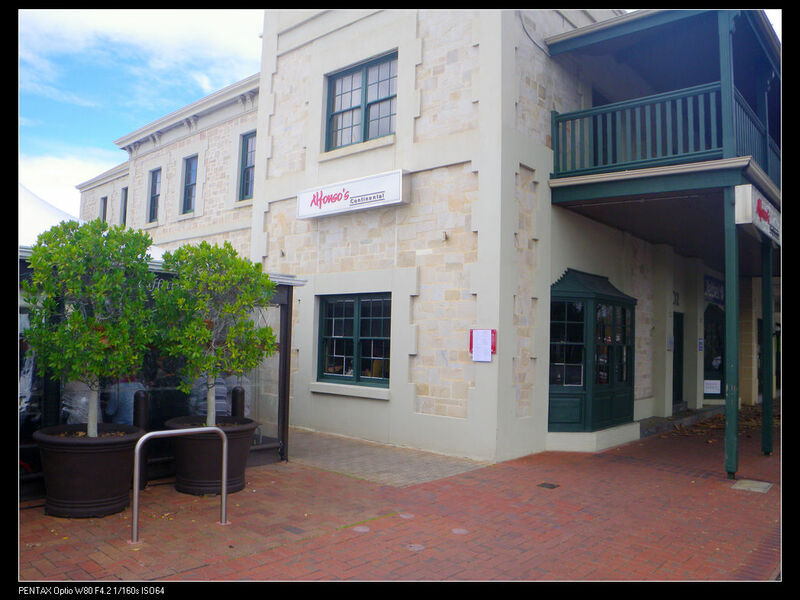 The iconic building located on Hutt street is very close to home and could be a good option for a lazy Sunday lunch. We first came across the place around 6 years ago when we walked on Hutt street and this strong fishy smell was floating around us. We dined there straight away and the food was above average. 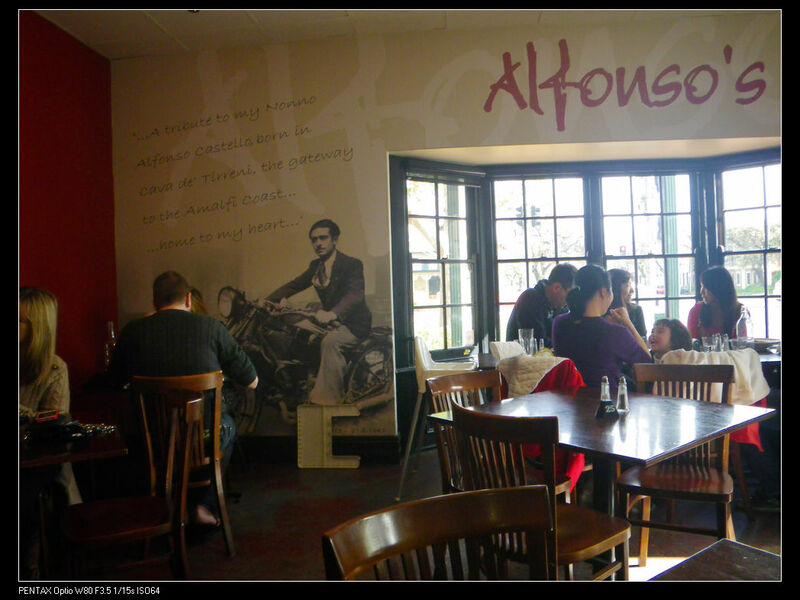 Alfonso’s continental is popular among locals. 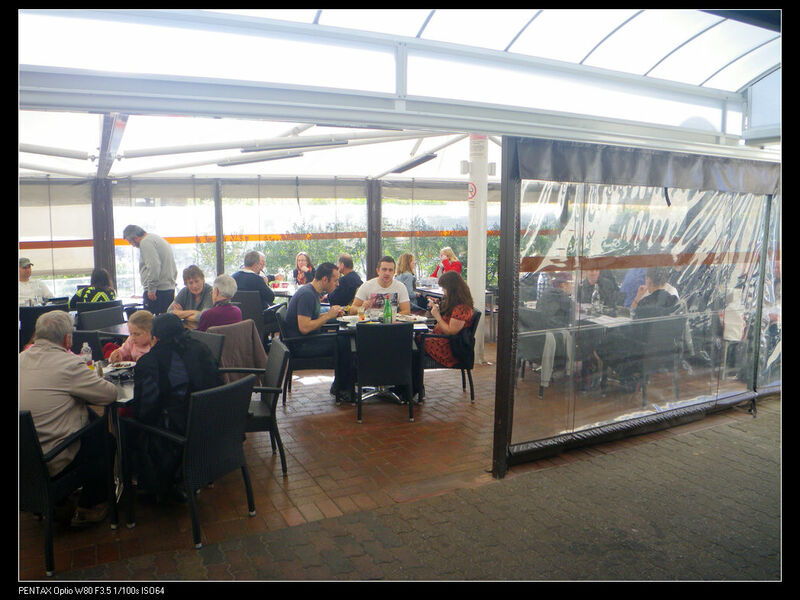 When we arrived there around 12:30pm, the place has been almost fulfilled both inside and the outside dinning area. From the amount of people, one can expect a good 40 minutes waiting time after ordering from the front counter. In fact, for today, we waited for 50 minutes for our food to arrive. 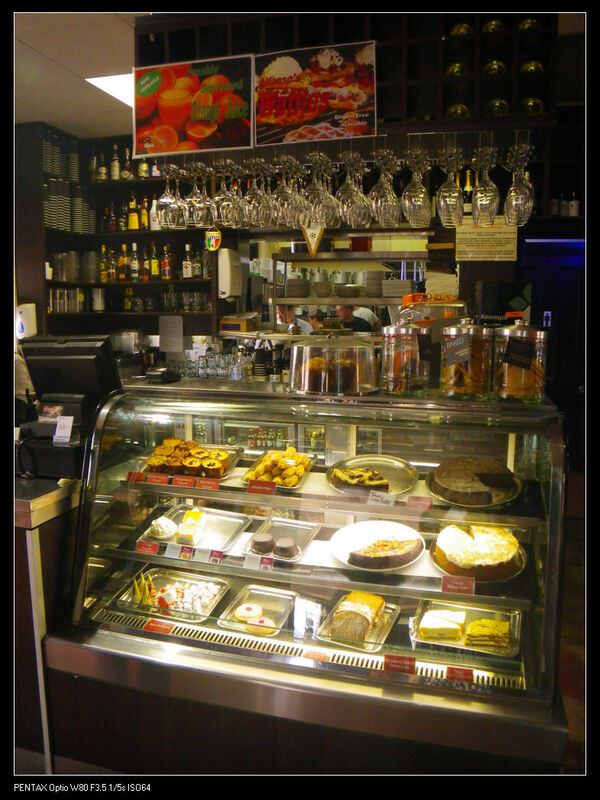 The restaurant is a classic Italian family restaurant. It was noisy and it got the Papa, Mama and the whole family all involved. In fact, seated within this noisiness, people can barely hear each other’s word. Has anyone ever noticed some great family restaurant are actually very noisy? I once went to a restaurant which was busy and noisy. I tried to order lamb but beef was served instead as the waiter can’t actually hear me. 😀 Fortunately, Alfonso’s continental did not have this problem as all meals were ordered in the front counter. However, the noisy sound did matter a little because my wife and I needed to talk closely to be able to hear each other. Well, I guess in this case, noise is not too bad as long as it has not interrupted us. While the noise may be okay to me, others have pointed it out over the internet. Btw, this website, DineHear, offers an competition for people to raise their voice about noisy dinning environments. Since my wife has got serious stomach pain in the last month, she only eat very little so we ordered a starter for her. I know their starters are big but we were still surprised by the portion size. The serve of this dish as a starter was huge and my wife can only finish half of that. In terms of taste, it was sour and was full of tomato flavour. 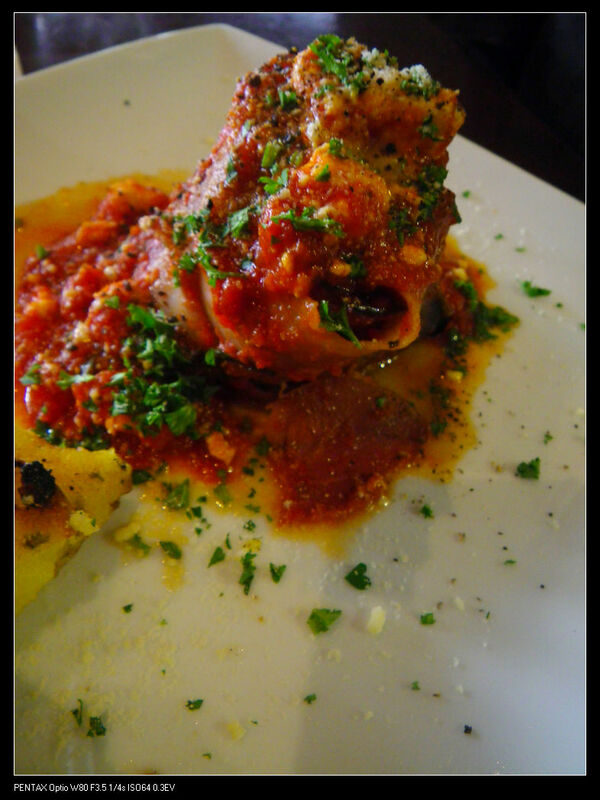 The grilled eggplant was soft and tasty with tender prosciutto wrapped on the outside. 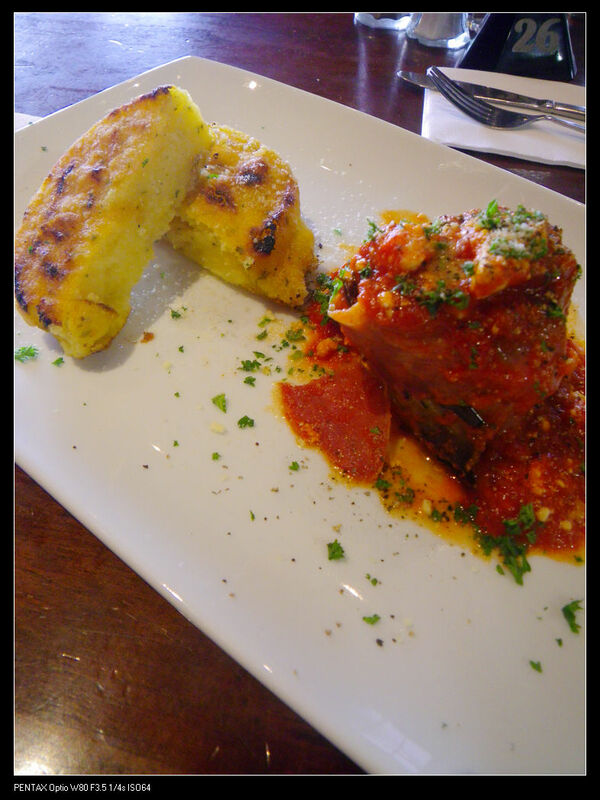 The ricotta was cheesy and complemented the rest of the flavours well. 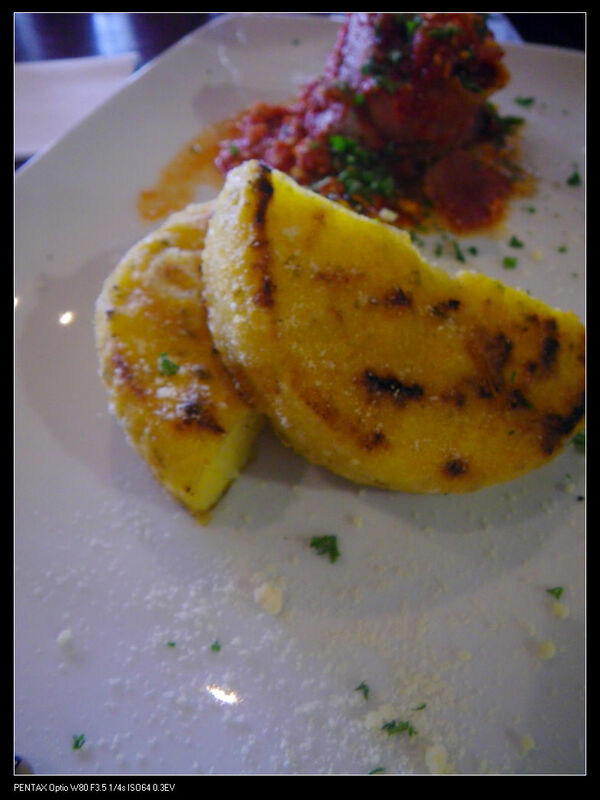 The polenta was made to perfection. The outside had the charred mark and a think crust while the inside was mellow and filled with fragrance of grains. While my wife enjoyed her lunch, I decided to go with the seafood platter. The serve for the platter was way too big and I wasn’t able to finish it by myself. The seafood were lightly floured and fried. 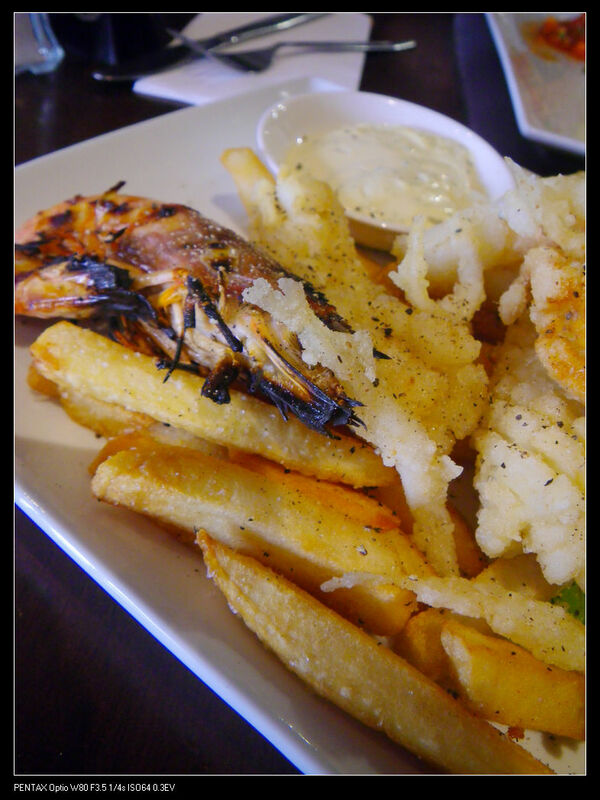 There were 2 pieces of each of the seafood variety, except the white bait. The fried prawns were light in taste and very delicious with good freshness. 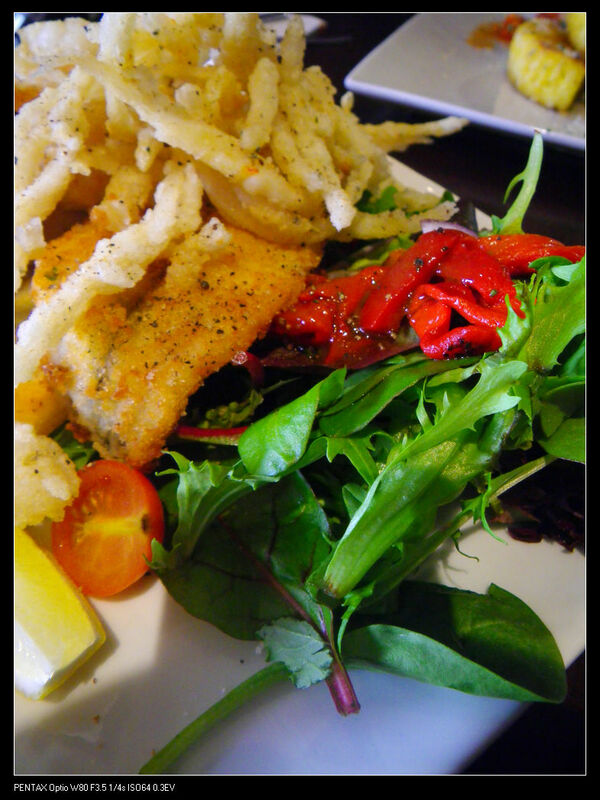 The fish and calamari were fried to perfection with easy to cut meat and still tender pieces. The fried scallops were so tasty and delish with really tender meat and made my taste buds excited! The white baits were fried with a transparent appearance but it could have been more crunchy. There were also two pieces of grilled prawns with good sizes. They were so fresh with strong prawn fragrance and charred smokiness. The salad, the aioli and the chips were well cooked too. Generally, I am satisfied with the dishes ordered today as they were both winners. I understand the place was super busy so a bit lack of service is tolerated. The place was noisy and crowded but it would be okay for a family restaurant like this one as long as the noise does not interfere with my dinning experience. As I said, the place is busy at lunch time so a good 45 minutes waiting time should be expected if people want to dine here. The portion size for the dishes were huge and the food quality was up to a homemade standard. 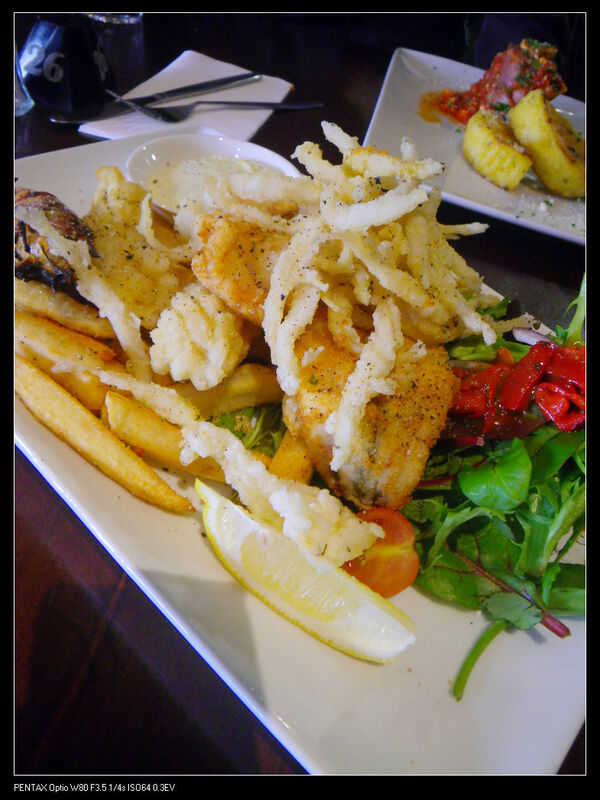 I would have helped you finish the seafood platter – it looks absolutely delicious! Your wife’s meal looked very elegant and tasty too. 😀 Maybe you should pop around city one day Angela! Btw, where in SA would I be able to get a taste of some real aboriginal food? Restaurant? Community events, ect?